The Scoop: The future is really upon us. 3D printing is now a thing and with it, creation is going to become easier, faster and cheaper for every one of us. Find out some of the amazing and convenient creations from 3D printers that are available today. Printing is known to be the process of transferring images and texts from the computer to physical paper. This makes it easier for people to get information faster than writing it all down. However, that recently evolved into 3D printing. 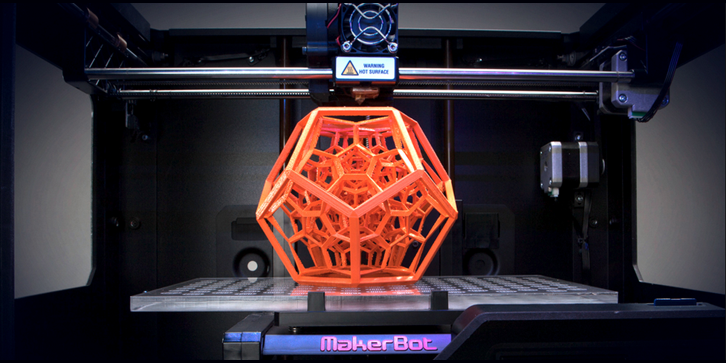 3D printing follows the same principle as normal printing. You choose what to print and let the printer do its job. However, in 3D printing, all of the printed output won’t be in 2D or stuck in the same piece of paper. It will be something that you can really interact with. To get more idea of what 3D printing can do, here are some of the amazing and convenient creations from 3D printers that exist today. Manufacturing cars can take years as well as eat up a lot of resources from production. However, with the entrance of 3D printing, the automotive industry is going to have to change whether they like it or not. The 3D printed car called LSEV will be launching for production this year. Not only that it just takes at least three days when producing it, it also runs on electricity which reduces the strains in the environment compared to cars using diesel. The production is scheduled this late 2018 with each car amounting to at least $10, 000. This is one of the things that a cartoon show had predicted in the past. A machine that just produces food with just a push of the button. Meet Foodini, the 3D printer that specializes in creating edible meals through 3D printing. Unlike other 3D printers, Foodini is using real and fresh capsulized ingredients to print gastronomic creations such as pizza, spaghetti, sweets, and many more. Housing is one of the struggles that people are going through right now. This is mostly due to the fact that not all can afford the high price tag that accompanies the home along with maintenance costs. However, 3D printed houses may be the answer for that struggle. Not only that making 3D printed houses only takes at least one day, it is also affordable with a price tag of approximately $4, 000 per house. 3D printing is also known for creating prosthetics for people and animals with incomplete limbs. However, another one of 3D printing’s skills is the recreation of organs. Unlike the 3D printing of prosthetics, these organs are created using live human tissues. This also means that the 3D printed creations of organs will improve and enhance medicine and medical procedures in the coming future. This last one may be a bit on the creepy side. 3D printing is where one’s imagination is the limit. And you can bet that those imaginations stray to 3D print your own or someone else’s face. Even though this is also cool and amazing, you can’t deny that it can be a bit creepy on the side. On the other hand, this is a great gag gift for pranks and maybe spook props for Halloween as well. Who knows, maybe this will be a mask you can wear to hide your true feelings, right? 3D printing is like Lego. The sky’s the limit and your imagination is the only thing you need to be able to produce something that can benefit mankind. However, bear in mind that even though 3D printing can be very beneficial, it is also capable of producing our demise when used in the wrong hands. Therefore, when 3D printing, you have to be responsible for your creations. So what is your favorite 3D printing creations? Liked this article? Check us out for more tech talks!